The Catholic answers in the Baltimore Catechism are precise and concise. 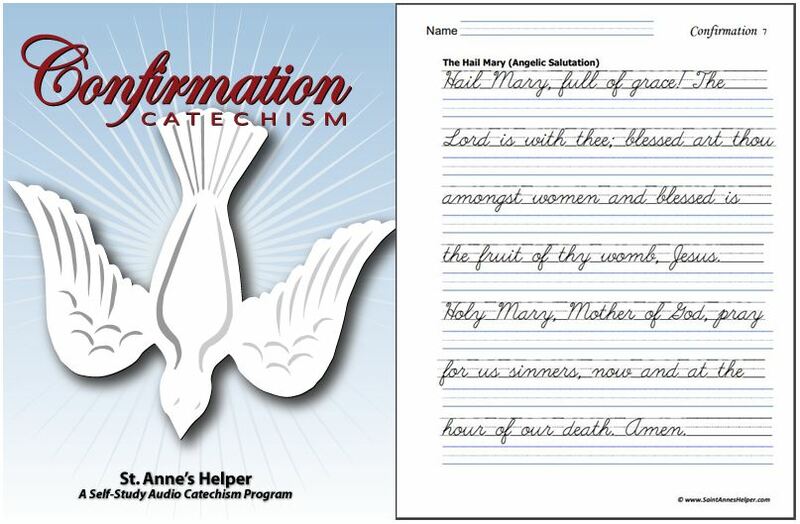 You'll find that teaching First Communion and Confirmation is easy with St. Anne's Helper's downloads. This page is for those who want to know and to teach the catechism answers that will last a life time. Versions? Yes, the Baltimore Catechism, No. 2 has been the standard elementary Catholic catechism in the United States of America most of years since 1885. Several answers are different amongst the various catechism versions and they each have an Imprimatur. Which answers are best? If you are new to the Catholic faith, or are teaching young children, and are looking for the best version; you'll like seeing the comparisons below. They can spare you trouble in the future. You'll be able to see which versions ask which questions in popular Communion catechisms. The old Baltimore Catechism (BC) was designed to be "from" the Catechism of the Council of Trent, yet in a more memorizable format. There are many BC reprints and many "revisions. I have an 18" stack of little catechisms. The trouble is that only some publishers marked their revisions. 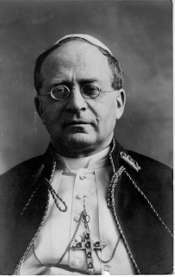 Even the versions that are under the Confraternity for Christian Doctrine, (CCD) - even as early as the 1930s - have some differences, especially in the inclusions that were added in the prose between the actual Baltimore questions and answers. In general, the BC parallels the Penny Catechism in England. 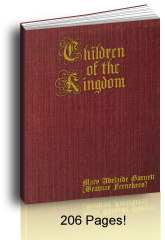 DeHarbe's Catechism in Germany has excellent Catholic answers. Yet again, beware of some Penny editions that were published, especially after 1971 as the answers are not the same. This page explains differences in some currently popular BC versions. It documents the several sources to our Communion audio downloads and worksheets. We leave other difficulties with the higher level No. 3, for a future page. For those new to the Catholic Faith or to teaching the Faith, the notes on this page can spare you buying compromised books for Communion and Confirmation preparation. Most old catechism questions answer with very Catholic answers. They agree with very little difference in the wording of questions and answers throughout the years. Catholic answers are precise and concise (that's how you can have faith in them); yet bishops have given both the Imprimatur and Nihil obstat to different answers to the very same questions in many catechisms even in the same series! Note: Pascendi was written just after the time that Pope Leo XIII accused the bishops of Baltimore of Americanism (Kenricks?). Further, amongst various Catholic catechisms in the United States of America, the copyright dates often do not show the new dates of publications and do not indicate that there are minor revisions or omissions. They are not required to make these notes by US law (which makes practical sense with most books). It is still amazing to see the revisions and omissions in Catholic books that have all the same copyright information in the front pages, even as early as the 1930s and 1940s. We own several versions of a very popular Communion book, The New Saint Joseph First Communion Catechism, where the tabernacle and Crucifix were gradually removed from beautiful pictures, as with white-out or cut-outs. This covers a period of time throughout forty or more years, meaning that new purchases might have more revisions (even as recent as 2012 where Catholic Book Publishing Company finally published the new date). Higher levels of this New Saint Joseph series have more difficulties with the Resurrection and Ascension. Beware to teach the right answers if you use the NSJ (Jesus rose from the dead by His own omnipotent power). Comparing to the Catechism of the Council of Trent is very helpful and it is also a wonderful book to read. This page explains current differences amongst the popular First Communion catechisms. You'll find where the best Catholic answers originate. and the First Communion worksheets from the 1880s and 1950s. Short cut: If you're looking for a wonderful book, you'll love Jesus Comes. 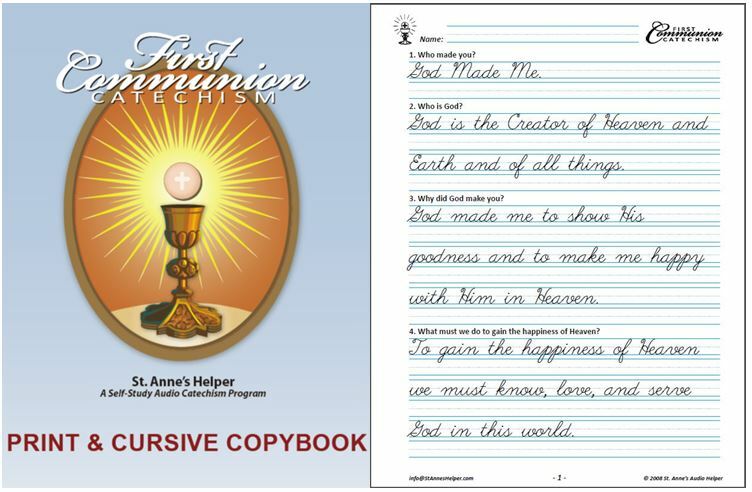 Order Saint Anne's Helper First Communion resources here. The best Baltimore Catechism book that I have seen for a First Communion Catechism for children is Jesus Comes (available at Amazon), from the Our Holy Faith series, Vol 2, re-published by Neumann Press and now owned by the new TAN Books. It has the Baltimore Catechism questions for the Holy Eucharist, the sacraments, Ten Commandments, and Communion prayers. It has extra questions for each Commandment that I call "The Tells and the Forbids". This commandment "tells me" and this commandment "forbids me", etc. They can be way too much for many first and second grade children to memorize; yet they are excellent for teaching children how to prepare for confession, and for older children to read and study. It's also got beautifully modest pictures. Even Adam and Eve are decent. 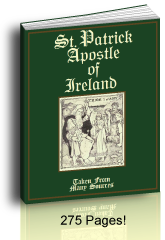 Saint Anne's Helper has downloads to go with this book. 1. Who made you? God made me. It has been mentioned that the question, "Who made the world? " leaves a path open to elements of evolution and removes the directly personal effect of creation from the child's experience. If taught as the 1885 Baltimore Catechism teaches and as the Catechism of the Council of Trent (CCT) teaches, it must also be explicitly explained that the word "world" in this instance means that God created everything visible and invisible which is answered directly with "God made all things." The meaning should be taught to express the same idea. See this explanation in The CCT is found in older TAN Books (Translated by McHugh and Callan). Answering "God made us." doesn't explicitly teach the truth that God personally creates each human soul as compared to answering "God made me." Be sure to explain that God made each individual one of us, meaning each human being that is being born today and in the future. This is an awesome truth to know in light of abortion issues that are so prevalent today. At the moment a child realizes that "God made me." he realizes that it is a comfort and an honor to know that God personally made him. God loves him the way God made him. The little child asks "Oh, wow! He made ME?" It is a joy to be able to respond "Yes, and He loves you just the way He made you!" This is one of my most treasured moments with our own little children. Adults who were not taught this Catholic answer find the same consolation at this revelation. The most important time to be certain of it is during one's last hours. "Yes, He loves me, and He made me the way He loves me." This answer is the personal and objective answer necessary when one is trying to weigh the argument of "Thou shalt not kill." against the errors of pro-"choice" enemies of life. 2. Who is God? God is the Creator of Heaven and Earth and of all things. Instead of using the term "Supreme Being" as some catechisms do, a comparison with Our Holy Faith series book 2, Jesus Comes, finds that He is the "Creator of Heaven and Earth and of all things" which concurs with the Apostle's Creed, the first lines of the Bible, The Catechism of the Council of Trent, and The Catechism in Pictures. "God is the Supreme Being" is a true answer, yet it is not as indicative as "God is the Creator". Yes, God is the Supreme Being, yet this can be inferred from the answer that teaches that God created Heaven and earth and all things. The inverse is not true. Older books for higher levels use the more accurate term Absolute Being which answers "What is God?" Teaching the answer "God is the Creator, etc." anchors the child's faith that God the Father created all things from nothing and this inclusion explicitly teaches this truth. It may not explain all that God "IS" (neither does the term Supreme Being), but it certainly does indicate Who He is. He is the One Who did the Creating. Some books omit this question. Yet look at what truths have been removed from one of the most basic Catholic answers: Creator and Heaven! "Further, the true concept of creation excludes every form of emanationism and pantheism, while it emphasizes the liberality, power, wisdom and goodness of God, manifested by his free creation of the world in time. These truths are the cornerstones on which men can build lives of Christian optimism and personal responsibility. For that reason the Church has always insisted on them as basic to the revealed religion entrusted to it by God." It is so great to be able to be certain that these basics are being taught for First Communion, especially since so many children do not receive further instruction later. In very high level books we have seen the term Absolute Being. A different term "Architect of the Universe" (Sheed and Ward) is nearly a Masonic term and "Supreme Being" was used by Robespierre (To Quell The Terror, Carmelite book) during the Reign of Terror when he sought something "more" than the goddess of reason. The oldest book we have found that uses the term Supreme Being was one that was "revised" in 1921 and at least it does not use the term in a misleading way. Of course God is the Supreme Being, yet Catholic answers are precise and definitive, especially for a beginner's catechism and for purpose of identification. It is an error to expand a term away from the simple truth. See the forward in The Church Teaches. These terms began to be used by Sheed and Ward, the Confraternity for Christian Doctrine (CCD), and other Catholic book publishing companies during the 1930s and 1940s. 3. Why did God make you? God made me to show His goodness and to make me happy with Him in Heaven. A comparison of texts shows that this version (Our Holy Faith Vol. 2, Jesus Comes, and many others) is a complete Catholic answer without the grandiose verbiage that does not add any meaning as found in other versions of the Baltimore Catechism: "God made us to show forth His goodness and to share with us His everlasting happiness in Heaven. This second version also removes God's personal contact with the singular "me", the effect of which is explained for question number one above. Some older books combine question number 3 and 4 "God made me to know, love, and serve Him in this world." to good purpose. It is certainly more precise. Be sure to teach answer number 4 of St. Anne's Communion Catechism with number 3 if you are not using all the questions and answers in your program. We have heard sermons that defend both ways in that the one answer is in the order of intention and the other is realized in the order of activity. Neither opposes truth. Our Holy Faith has the phrase "to do" added to the Ten Commandments tells and forbids questions. For over eighteen years St. Anne's has seen children who stumble in answering "to do to adore God". By omitting "to do" in the question seems to make the child's response easier without changing the meaning of the Catholic answers. This is the one liberty taken in the St. Anne's First Communion text. 39. What is a sacrament? A sacrament is an outward sign instituted by Jesus Christ to give grace. Some versions of this question and others did not have Our Lord's name. Since a main error in vogue today (2011) is to speak of a christ without him being Jesus Christ, St. Anne's Audio Catechism has used the answer found in Deharbe's Small Catechism (Christian Book Club of America), which specified the name Jesus. It seems to introduce Him well or to further specify Jesus as "the" Christ. This answer in St. Anne's has been taught by many good priests and sisters who made a point of this being the more Catholic answer both in sermon and in class. See Deharbe's Small Catechism available through Christian Book Club of America for this inclusion of Jesus' name, Imprimatur and Nihil obstat as well. Baptism is the sacrament which cleanses us from Original Sin, makes us Christians, children of God and heirs of Heaven. Here, St. Anne's chose the version that names Original Sin and what benefits Baptism gains for us as found in the 1885 Baltimore Catechism. The very purpose of Baptism (washing away Original Sin) is sometimes omitted in other Catholic answers. At other times the question is reworded in a manner that can suggest that the Catholic answer is a subjective one: "What does Baptism do for YOU?" Imagine the subjective answers that could be had for this question: Aunts and Uncles, parties, gifts! In past times it might not have been necessary to mention "washing away Original Sin", yet today's environment that denies the Fall requires a surer answer as provided in the BC. Again, Catholic answers are precise and concise. 48. What happens to those who die in mortal sin? Those who die in mortal sin are punished forever in the fires of Hell. Some catechisms omit teaching the consequences of Mortal sin. Fortunately this answer is found in the New Saint Joseph First Communion Catechism. This answer teaches the idea of Hell, avoiding which is the whole reason for doing all these other works and we include it at Saint Anne's Helper. It is a solemn moment when a child realizes that many other people are burning in Hell. Add this omission to the omissions sited above and find Creation, Heaven, Original Sin, and now Hell omitted. These are all maintained in our audio and worksheets. We are edified that The New Saint Joseph First Communion Catechism included this question and answer, although this version does have considerations related to the Resurrection. On the issue of Hell and punishment, our favorite recommendation for a child or adult catechism is The Catechism in Pictures as printed in India as it was first printed (the second version has many differences and several excisions as with the condemnation of Freemasons). Even with many typos the version available prior to 2010 teaches the Faith better than any book we have seen. There's no mistaking Hell or sin in this book. The pictures alone teach great Catholic answers for preparing to receive Communion. Again, please note that there are many changes in the new printing (2010) although it still does still seem to teach the Faith well. 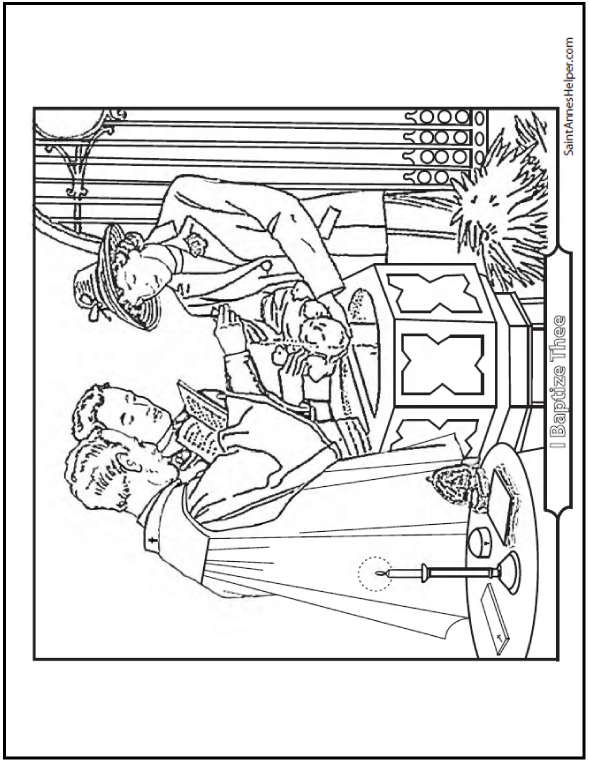 The Catholic answers used at St. Anne's Helper involving mortal sin and venial sin are the Baltimore Catechism answers for children that are commonly used for younger students; yet it will stand for a life time of good Confessions, whereas it is possible that little ones would not understand or make use of a longer version. It is the answer that our own priests and sisters required of our children. 53. What is confession? Confession is the telling of my sins to a priest to have them forgiven. This version; "to have them forgiven" (Jesus Comes) is a more plain, active, and certain Catholic answer than "to obtain forgiveness" as found in some versions. Again, this version can be found in Jesus Comes, as well as several other Baltimore Catechisms. It uses the singular number in its answers which is a great defense against the "corporate conscience" type errors of this last century. Catholic confession is a singular event. "We" in the plural don't have "a" single conscience. Some questions can be answered well in the possessive plural although this is one Catholic answer that should not, especially for children who are preparing for their first Confession. Parish priests warn parishioners not to confess the sins of others! The New Saint Joseph First Communion Catechism is the most popular in the NSJ series, yet you will want to know that it has tricky places to beware. There are other places in it, though, that are more serious. 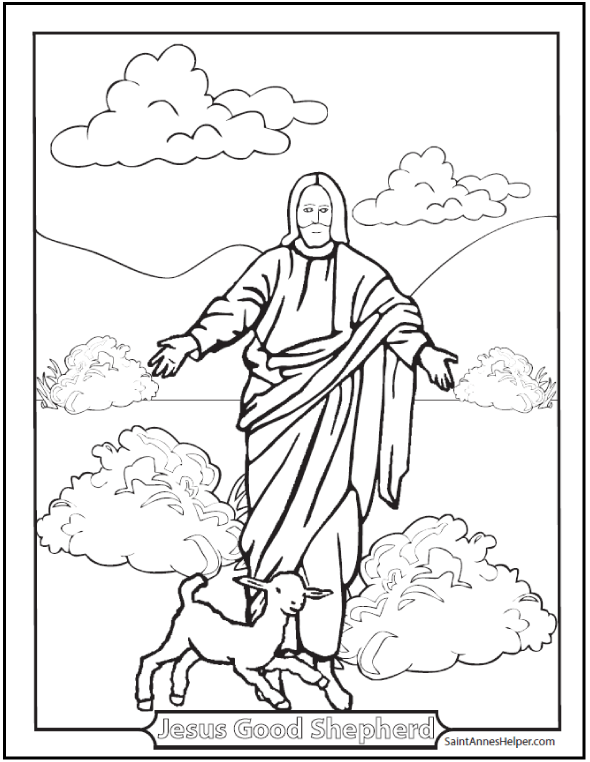 At the bottom of page 33 and page 49 it would seem that God the Father raised Jesus from the dead! Without a contorted explanation that every time one of the Blessed Trinity acts, all three act in unison; it does not teach explicitly that Jesus rose from the dead by His own omnipotent power. This truth is certainly omitted. The Catechism of the Council of Trent (CCT) and The Catechism in Pictures, teach explicitly (in so many words) that Jesus, Himself, reunited his Body and Soul by His own omnipotent power. 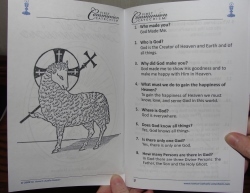 Seton Home Study School's re-written Kindergarten Catechism for Young Catholics removes the vague wording in the NSJ and many other tricky places. In other aspects it is very close to the New Saint Joseph First Communion Catechism and is a very helpful book for Communion Preparation. The CCT says, "By the word Resurrection, however, we are not merely to understand that Christ was raised from the dead, which happened to many others, but that He rose by His own power and virtue a singular prerogative peculiar to Him alone.... We sometimes, it is true, read in Scripture that He was raised by the Father; but this refers to Him as man, just as those passages on the other hand, which say that He rose by His own power relate to Him as God." The NSJ Baltimore Catechism No. 2 and No. 3 repeat this dangerous line and No. 3 expands the thought to include the Ascension! A careless reading of these, and/or not explicitly teaching precisely what the Apostles' Creed teaches "the third day He arose again from the dead", might leave out the pivotal proof of our Faith: that the Resurrection of Jesus Christ by His own power proves that He is God. We own three publications of the NSJ First Communion Catechism. How do we tell the differences? They each have beautiful artwork progressively removed from pages 48, 54-59, and who knows what else has been removed by now. Not one iota is changed on the inside front cover warning about any changes! By this omission one would be lead to believe that these several printings would give the same Catholic answers, but they do not. See more comparisons of Catholic answers here. Replace the NSJ with the best Communion catechisms here. 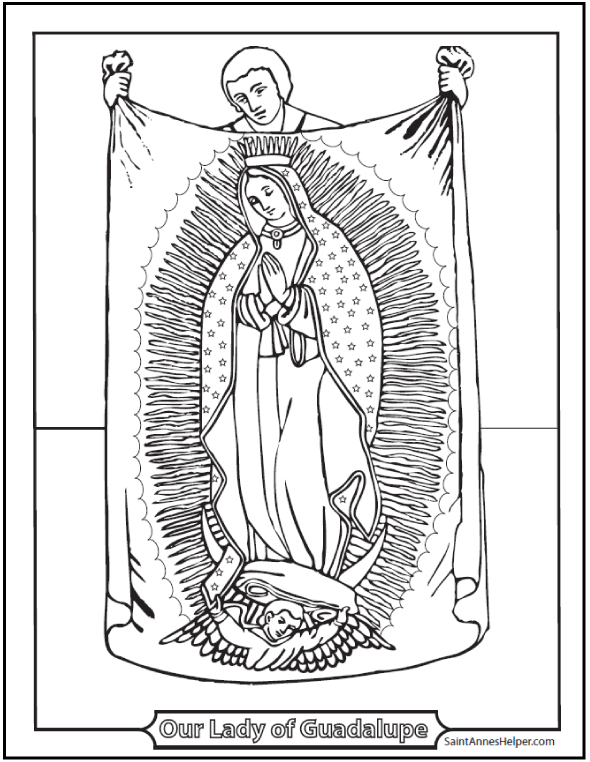 We also have wonderful Catholic coloring pages to print and catechism ideas here. Mix these with Bible and saints stories. Our Audio CDs, worksheets and coloring pages are a God-send. Catechists and parents like that memory work is much easier for their kids. Why use the Baltimore Catechism? Seton Home Study School has a wonderful article that defends the Catholic answers in the Baltimore Catechism. See also the opinion of the USCCB that many catechisms do not hand on the Faith. It is important to find and teach the Catholic Ten Commandments since they are easily taught very early in a good Catholic catechism and are half the foundation of any catechism alongside the Apostles' Creed. The Commandments are the back bone to morality and law. The Catholic Ten Commandments are also the standard by which to recognize other good Catholic books and to reject those books that should be discarded. Writings which violate the Ten Commandments are to be rejected. It is important to use the best Catholic answers because it is by comparing against answers that reflect the truth that we base so many moral decisions in life, and it is upon good Catholic answers that we know and do the Will of God so as to attain Heaven. If we do not know the Truth, we cannot choose it. The reason that we publish these particular questions and answers is that they are the questions and answers that the priests and nuns required for our own children (see our story here) as they prepared for the sacraments. As parents, we learned much more about the Catholic Faith while teaching these answers than we'd been previously taught, precisely because these were such good Catholic answers. We appreciate books that teach by the straight and certain route without the searching that is so popular or, on the other hand, necessary today. We also wanted to help many souls find these Catholic answers because the more good Catholics that are formed by the basic Catholic beliefs, the easier it will be for us to be good Catholics ourselves, and thereby go to Heaven, too. We do not claim to endorse all versions of books mentioned on this page or the complete series of books mentioned here, especially in their many reproductions. It would be impossible to keep up with the variations and revisions. Yet we have found that the old TAN Books, Neumann Press, Baronius, and Refuge of Sinners Publishing (Mother of Our Savior Company), have made a grand effort to print excellent Roman Catholic books. May God preserve them and reward them well. St. Anne's Audio Catechism uses the best Catholic answers. Each comes from a book that has an old Imprimatur. 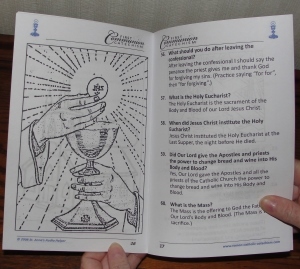 During the summer of 2013 we added the text used in the Communion and Confirmation CDs to this site so that you may see which questions and answers are taught. We defer to the constant teaching of the Catholic Church in all things, especially the Catholic answers. We defer to the authority and teaching of Holy Mother Church in all judgments. The books we have recommended are simply those that were recommended to us by our priests and nuns and they have proven to be the clearest in teaching the basic Catholic beliefs that we can find without the need for revisions. We have had the approval of several priests, one who is a monk. We have confidence that these resources will be of help to you. 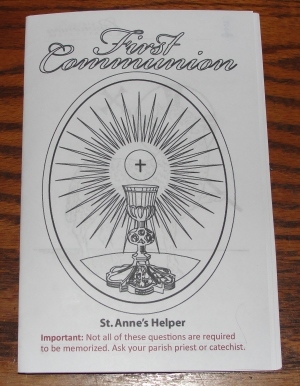 St. Anne's Helper First Communion and Confirmation Audio CDs and downloads were formed in our efforts to do our duty of state well as religious instructors in a parish, and as parents teaching the faith to our own children for nearly 20 years. These CDs were created in response to the number of friends who sought help teaching these to their children. We are also confident that these will help religious and other catechists in the performance of their duties of state to teach the Catholic answers that will aid those in their care. Pope Saint Pius X urged Catholics to use the technologies available to help spread and keep the Faith. These Audio CDs, Downloads, and reproducible Copybooks are our effort to do so. I hope this comparison of the texts of these Catholic answers give you confidence that our Audio CDs and Downloads publish a faithful representation of the Baltimore Catechism. Pastors and teachers have compared texts and taught the catechism well. So did priests and nuns for scores of years. Now you can too. The Catholic answers in older Confirmation books have fewer differences than those for Communion. You can see the Catholic Confirmation answers here.